Surprise! It’s going to be unfathomably cold again! There may be no school on Monday! We’ve gotta stock up on butter and eggs! I feel trapped and I can’t stay in this house any longer!!! I also can’t stop saying polar vortex. It’s one of those crazy buzz words that’s in the news continually. Like vitriol was, for a while. Or The Great Recession. And who could forget twerking….though most of us would like to forget that one. 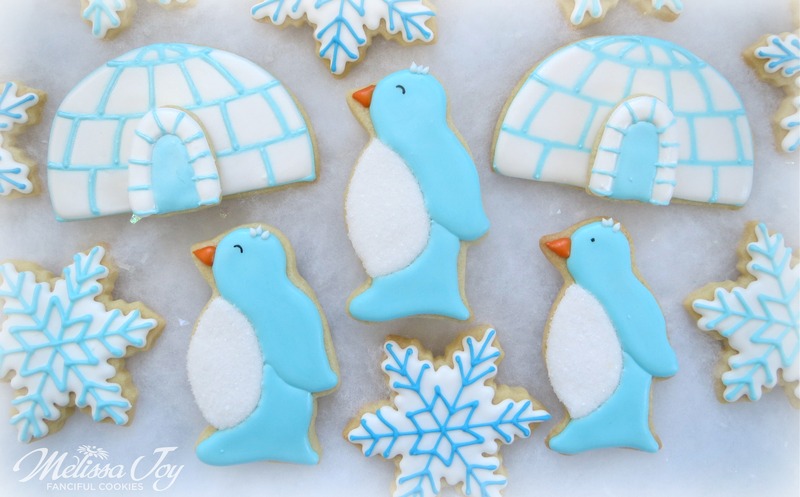 With the polar vortex then, we will make penguins. I inherited this cookie cutter from my mom when she moved last year. 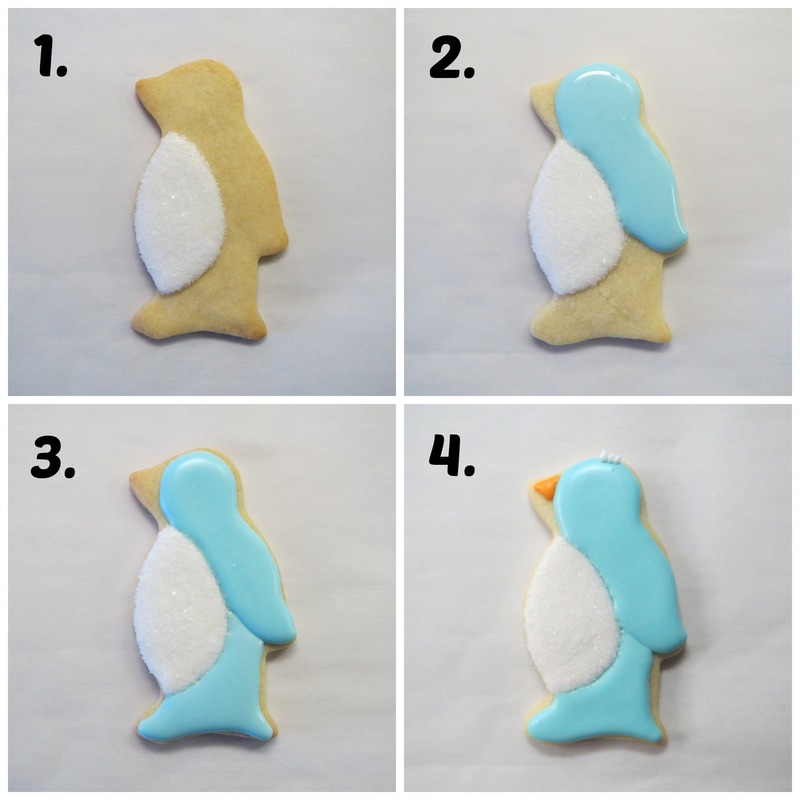 It was too sweet to pass up and I created an easy 4 step frosting design. Let the frosting dry a bit between steps to get the definition of his body parts. I drew on the eyes with my food doodler marker, but you could use icing to pipe his peepers instead. The entire set looked like this. 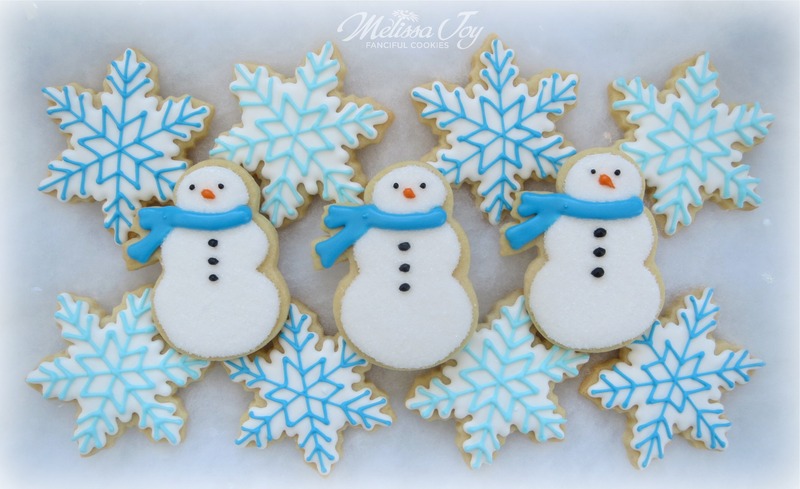 It included the fuzzy hoods I made in this post, along with my favorite snowflakes and snowmen. I auctioned the whole thing off on my Facebook page to raise money for Alexis, who is another young lady fighting a battle with cancer. If my cookies can do some good, I’m all in, and thanks to generous, supportive people out there, we did VERY good for Team Alexis! Paying It Forward, one cookie at a time. If you’d like to help pay it forward, you can go to Alexis’ facebook page, Team Alexis, to read about her story and find information on how to send her mail. She’d love to receive messages from every part of the globe! And if you’re in a warmer climate, send a little of that heat this way too. 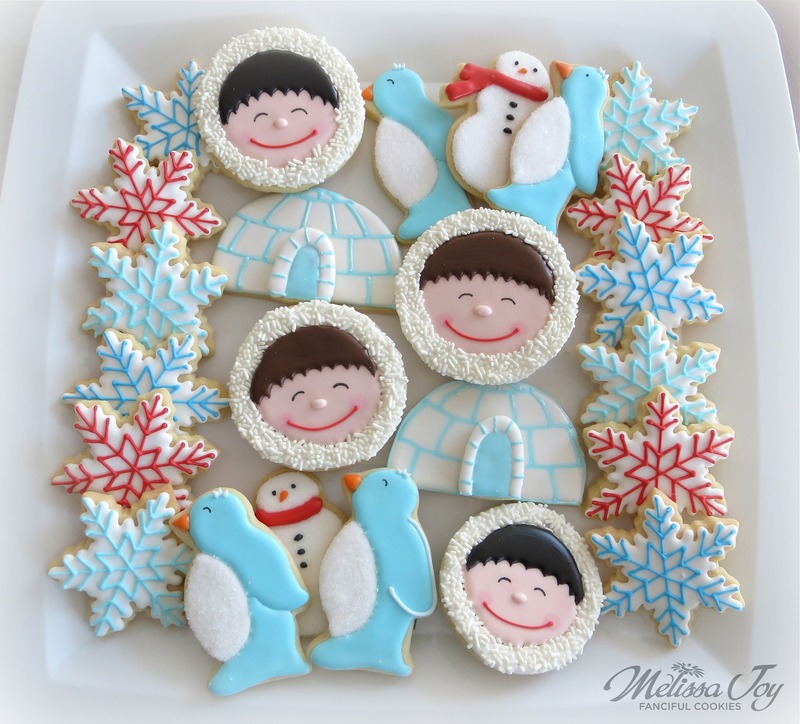 This entry was posted in Cookie Tutorials, Cookies for Kids, Winter Cookies and tagged igloos, pay it forward, penguin cookies, polar vortex, snowflake cookies, Team Alexis. Bookmark the permalink. Eeek, you crack me up! 🙂 I’m just going to try and keep laughing until the temperature gets to be at least 40!